CALGARY, Alberta, Sept. 24, 2018 (GLOBE NEWSWIRE) -- SugarBud Craft Growers Corp. (“SugarBud” or the “Company”) (trading as Relentless Resources Ltd.) is pleased to announce that it intends to apply to the TSX Venture Exchange (“TSXV”) to list, as a supplemental listing on the TSXV, a total of 143,858,237 common share purchase warrants (“Warrants”) of the Company consisting of 88,727,560 Warrants issued pursuant to a private placement offering of the Company completed on March 21, 2018 and an additional 55,130,677 Warrants to be issued pursuant to the previously announced fully subscribed rights offering (“Rights Offering”) for proceeds of $7.4 million (the “Proceeds”). The Warrants will be governed by a warrant indenture to be entered into between the Company and Computershare Trust Company of Canada. The Company is currently drafting the warrant indenture and plans to list the Warrants as soon as possible. Listing of the Warrants is anticipated to provide liquidity to SugarBud’s current Warrant holders, attract a larger scope of potential investors to SugarBud, and defer dilution into the future. Due to SugarBud’s current working capital and its access to non-dilutive forms of financing, proceeds from the exercise of Warrants is not needed at this time. Including the Proceeds, SugarBud will have approximately $10 million of working capital. This capital will be deployed on Phase 1 of SugarBud’s cannabis cultivation facility at Stavely, Alberta, and is sufficient to achieve all requisite Access to Cannabis for Medical Purposes Regulations (“ACMPR”) licenses. Upon receipt of its ACMPR licenses, SugarBud intends to access non-dilutive forms of capital to complete the Stavely project. As previously announced, SugarBud has entered into a commitment letter in respect of a $17.65 million credit facility with Farm Credit Canada, and is currently in negotiations with third parties regarding a revolving working capital credit facility in the amount of $2 million and equipment financing of $7 million. The Warrants listing remains subject to TSXV approval. The Company will provide further details as they become available. 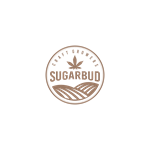 SugarBud is a Calgary based emerging cannabis and oil and natural gas company engaged in the development, acquisition and production of cannabis and natural gas and crude oil reserves in Alberta. SugarBud Craft Growers Corp. SugarBud Craft Growers Corp. This news release may include forward-looking statements including opinions, assumptions, estimates, the Company’s assessment of future plans and operations, and, more particularly, statements concerning the proposed listing of Warrants on the facilities of the TSXV. When used in this document, the words “will,” “anticipate,” “believe,” “estimate,” “expect,” “intent,” “may,” “project,” “should,” and similar expressions are intended to be among the statements that identify forward-looking statements. The forward-looking statements are founded on the basis of expectations and assumptions made by the Company which include, but are not limited to, the timely receipt of all required TSXV and regulatory approvals. Forward-looking statements are subject to a wide range of risks and uncertainties, and although the Company believes that the expectations represented by such forward-looking statements are reasonable, there can be no assurance that such expectations will be realized. Any number of important factors could cause actual results to differ materially from those in the forward-looking statements including, but not limited to: regulatory and third party approvals, including receipt of cultivation and sales licenses from Health Canada, not being obtained in the manner or timing anticipated; the ability to implement corporate strategies; the state of domestic capital markets; the ability to obtain financing; changes in general market conditions; industry conditions and events; the size of the medical marijuana market and the recreational marijuana market; government regulations, including future legislative and regulatory developments involving medical and recreational marijuana; construction delays; competition from other industry participants; and other factors more fully described from time to time in the reports and filings made by the Company with securities regulatory authorities. Please refer to the Company’s annual information form (“AIF”) and management’s discussion and analysis (“MD&A”) for the year ended December 31, 2017 for additional risk factors relating to the Company. The AIF and MD&A can be accessed under the Company’s profile on www.sedar.com.